Over the past few years, the Russian bookie 1xBet has gained momentum and has established itself as a serious competitor for the top companies in the sports betting sector. One of the main reasons is the bookie’s gargantuan sportsbook that covers a broad variety of sports and has excellent depth in terms of markets. Furthermore, 1xBet offers an incredible selection of payment methods that ranges from all sorts of online transaction services to crypto currencies, such as Bitcoin or Ethereum. We have tested 1xBet in terms of its registration procedure, deposit and withdrawal options, and its sportsbook in order to provide you with everything you need, so that you can make an informed choice about whether you want to bet at 1xBet. We have also investigated some of the fraud allegations against 1xBet, as in the process of our research we encountered a few negative reviews regarding the bookie’s withdrawal policy. Let’s start! Right at the bookie’s cover page you are informed about the bonus offer for the first deposit after registration. The 100% bonus is limited to a maximum of 100 € or 100 GBP and the terms and conditions for bonus offers apply. One exception to the 100% rule, however, is the 1XBet Bonus Kenya where new customers get a 200% bonus in two steps. The registration form itself is fairly straightforward. 1XBet offers four different registration options: One-click, by phone number, via e-mail, or social networks and messengers. In our test, we tried the one-click option as it seemed very attractive for app users. While the registration does say one-click, it actually took us slightly longer to complete the registration, because of a number of captcha tests that we had to go through. After some time though, the registration was completed and we received a pop-up window that encouraged us to benefit from the 1XBet first deposit bonus. For those of you, who prefer a slightly more conservative approach to depositing online, you will certainly be able to find an option that suits you well. 1XBet offers paysafecard, Mastercard/VISA, Sofort, Srill, Neteller and many many more services. On top of that, the minimum depositing amount is just 1€/GBP. So if you want to try this bookie out, but you do not want to commit to it with a larger sum, you can easily do that. However, that would also mean that you do not take full advantage of the 1XBet first deposit bonus with a 100% extra credit up to 100 GBP/€. At first sight, users might be slightly overwhelmed with the betting options on the homepage. This is, however, mainly a problem for desktop users. The 1XBet mobile app version is much easier on the eye and well-organized. The main navigation bar at the top is structured into Sports, Live (in-play betting) and Casino. It also includes a search bar, which is quite useful when you already have a very specific idea of what you want to bet on. If you choose the Sports menu, you get a selection of the most popular upcoming events, and you can browser through different sports at the top of your screen by swiping left. Overall, the navigation in the 1XBet mobile version is much more intuitive and clearer than it is in the desktop version, which often appears a bit cluttered with betting options. If you are looking for specific leagues or events to bet on, we highly recommend using the search function as it facilitates the betting procedure significantly. If you have suceeded in finding the right betting market, you simply click on the odds and your selection appears on the bet slip. For two or more bets, you can then choose from different multi-bet options, such as accumulator, patent, chain, or system bet. 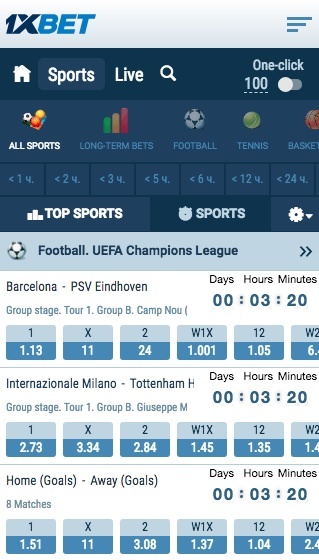 In the 1XBet app version you also have the option to check placed bets under „My Bets“. This way you can always keep track of your current betting performance. It is strongly advised to check open bets before placing further wagers. All in all, the 1XBet design definitely gets a positive review from us. However, this is mainly due to the bookie’s app version. As far as the desktop verison is concerned, a slightly more reductive approach to the sportsbook design might be desireable. Fans of fringe sports and special bets will embrace the 1XBet sportsbook. With over 40 sports and special bets categories, the bookie offers a huge variety in terms of breadth. You can even place bets on the weather at international airports. Hence, it goes without saying that betting markets in hurling, Australian football, greyhound racing, and e-sports are offered as well. Whatever category you want to bet on, you will find markets at 1XBet. But the bookie is not only versatile when it comes to different sports categories. You will also find that 1XBet offers great depth for big events like Premier League matches, or grand slam finals. For the average Chamions League group stage game pre-match bet, we found over 1600 betting markets. Make sure to check out our football betting tips before making your first 1XBet wagers. While this is certainly a great feature, it might also become a bit overwhelming at times. Again, we refer you to the 1XBet App for smart phones and tablets, where the more reductive design facilitates the search for the preferred betting market. If you choose two or more odds, you will find a variety of betting options on your 1XBet bet slip. The bookie offers standard options such as accumulator and system bets, as well as patent, chain and conditional bets. All bet types are available, but some restrictions apply when events are related. If you are unsure about the bet type you want to choose for your wager, you can check the bookie’s FAQ section for further details about the betting options. If you are a fan of in-play betting, you will also find plenty options in the 1XBet sportsbook. In addition to that, the bookie offers livestreams for registered users and a statistics feature, which covers the basics, such as head-to-head stats and recent performances of the teams and players involved. If you are interested in in-play betting, we highly recommend our tips for the best betting strategy. Especially in live betting, it is vital to have certain strategies to fall back on. Overall, the 1XBet sportsbook and in-play section has everything a sports betting fan can ask for. In fact, the multitude of markets can sometimes be a bit overwhelming, especially when it comes to live bets. Before we come to the conclusion, we would like to address another aspect, that is often overlooked in bookie reviews, i.e. can the bookie actually be trusted? In our research on the 1XBet sportsbook and especially on the issue of withdrawals, we found plenty of reviews and comments that suggested that 1XBet deliberately blocks accounts if they want to withdraw larger sums. While we cannot verify these claims, we certainly advise you to regularly take screenshots and save any interaction with the bookie, be it live chats or e-mail traffic. When we tried to withdraw money from our 1XBet account, we did not encounter any problems. However, as we only did this for testing purposes, we did not request a large sum to be transferred. Hence, we cannot verify whether the allegations against 1XBet are reliable or not. Overall, we were pretty impressed with 1XBet. The sportsbook offers a vast array of betting markets in over 40 different categories ranging from sports to entertainment wagers. In addition to that, the bookie allows for a great variety of different payment systems. 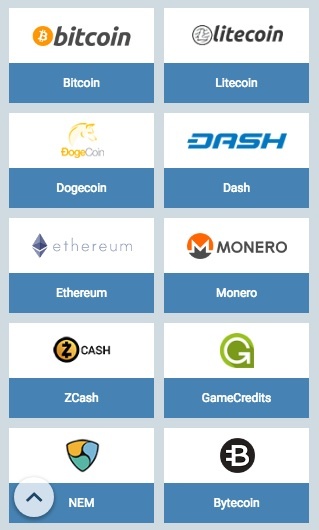 Even crypto currencies like Bitcoin, Ethereum, and Dogecoin are accepted as payments. For the betting itself, we highly recommend to use the 1XBet app, which offers a better overview than the desktop version. While we cannot entirely do away with the fraud allegations that keep popping up on various sports betting platforms and within the community, we can only state that we did not encounter any problems with 1XBet in our test. Therefore we’ll give this bookie a pass on our test, but we are closely monitoring further developments in this regard. Hopefully, this review can help you make an informed decision about whether you want to bet at 1XBet or not. Make sure you keep your eyes peeled for further bookmaker reviews!